Roberts & Stevens, P.A. is pleased to announce that firm partner Jacqueline D. Grant is the new president-elect of the North Carolina Bar Association. The NCBA is a statewide organization composed of more than 20,000 lawyers, paralegals and law students. Grant was elected by acclamation on Saturday, June 24, at the 2017 NCBA Annual Meeting in Asheville. Grant served on the NCBA Board of Governors from 2010-2013. She has also served on many of its committees, including the Medico-Legal Liaison Committee, the Delivery of Legal Services Committee, which she has chaired, and the Awards and Recognitions Committee, which she currently co-chairs. 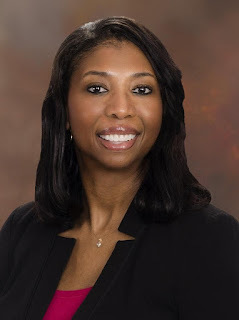 In 2014-2015, Grant became the first African-American female to serve as president of the 28th Judicial District Bar, which encompasses Buncombe County. She will be the second African-American female and third African-American overall to serve as president of the NCBA.